September is here, and with it comes a new concert season. It’s an exciting time! That is, unless you’re the poor sap who gets handed the stack of audition forms and has to copy everything into Excel. The data entry required for this two-step process (paper forms + Excel) is tedious and highly inefficient. You have to manually copy a large amount of data, you have to decipher messy handwriting, and you’re basically guaranteed to have some errors. Fortunately, there’s an easier way: go digital! There are tons of fantastic free tools out there that can help you simplify data collection into a one-step process. Skip the paper altogether and have singers enter their info directly into a digital form that will automatically generate a spreadsheet. Then, the data can easily be copied from that spreadsheet into your membership roster in Excel or Access, or imported into chorus management software. Probably the simplest and easiest way to do this is to send new singers an online form. My favorite tools for this are Google Forms and Survey Monkey, but there are tons of others out there. 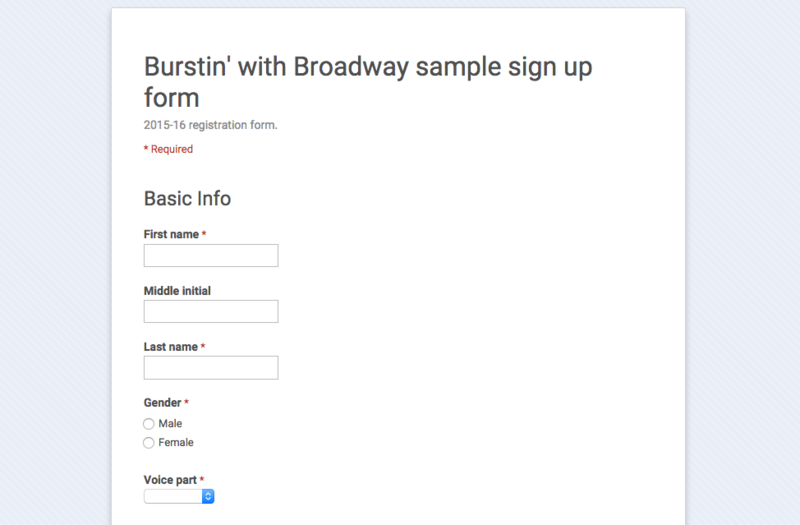 Vancouver’s Burstin’ with Broadway has graciously allowed me to use their sign up form as a guinea pig. It took me roughly 20 minutes to convert their document into the Google Form here. And you can see what the automatically populated spreadsheet looks like here. Your chorus may like to collect data in person, either at auditions or at the first rehearsal. 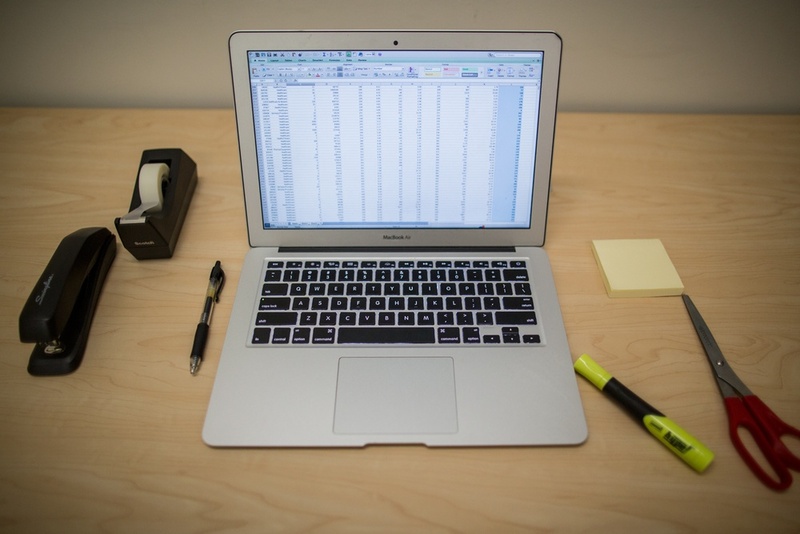 If you have internet access in the space, you can always create an online form, as mentioned above, and pull it up on a laptop or mobile device. If you don’t have internet access in the space, you can collect data offline using one of the many free form-builder apps available on mobile devices. I’ve been impressed by what I’ve seen so far with Device Magic’s Mobile Forms (more info here), but if you have the time and patience, try out a few to see which you like the best. Regardless of the tool you use, moving to digital forms is a great way to save your admin team time and energy. Give it a shot and comment below to let us know how it goes! 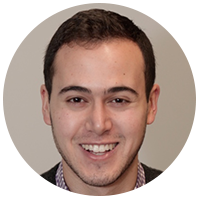 Jacob is the founder of Chorus Connection and a proud member of the NYC Gay Men’s Chorus. A lifelong choir geek and tech geek, he loves marrying his passions to help community choruses run more efficiently. Drop him a line at jacob@chorusconnection.com!